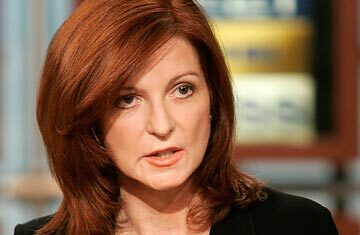 Is Maureen Dowd Guilty of Plagiarism? Et tu, Ms. Dowd? Maureen Dowd, the love-her-or-hate-her Op-Ed columnist for the New York Times, scored one for the hate-her team on Saturday, when she got caught in an act of apparent plagiarism. The similarity was first noticed by TPM on Sunday, and by the evening a mortified Dowd had apologized, saying she had not read Marshall's column but that evidently someone she knew had. "I was talking to a friend of mine Friday about what I was writing," she wrote in an e-mail to the Huffington Post, among others, "who suggested I make this point, expressing it in a cogent  and I assumed spontaneous  way and I wanted to weave the idea into my column." The Times amended the Web version and noted the correction. But as the blogosphere quickly pointed out, this idea was not so much woven into Dowd's column as slathered in Elmer's and pasted right on. It seemed implausible, many noted, that Dowd could repeat word for word what she said she heard. Or that the friend had expressed the idea in precisely the same way as Marshall without knowing it. And if the idea was not her own, why didn't she attribute the friend? "[Dowd] didn't say whether it was conveyed by phone or e-mail," pointed out Times spokeswoman Diana McNulty. "In any case, it was an error. It was corrected. Anyone with even the most passing acquaintance with Maureen's work knows that she does not hesitate to attribute other people's work." Indeed, Marshall was, or would have been, the eighth person Dowd cited in her 16-paragraph story, which quoted four sources directly. It's that cherry-picking of others' thoughts and opinions that agitates her detractors, of whom she has many  even (or especially?) within the Times newsroom. In one Dowd column on anti-Semitic remarks made by Mel Gibson in 2006, more than half the text comprised direct quotes from her friend New Republic editor Leon Wieseltier. "It was seven paragraphs of a 13-paragraph story," grumbles one Times staffer. To be fair, to write as many columns as Dowd does (two a week since 1995), writers can become a little like idea magpies, taking whatever shiny object they can find to make their creation robust and attractive. Dowd has to make her voice heard over all the political static that constantly buzzes in the blogosphere. And, inevitably, mistakes slip through. Or she plum runs out of inspiration on any given topic and falls back on less-than-original notions. Yet it's ironic that the Pulitzer Prize winner fumbled in this area. Back in 1987, she caught then presidential-hopeful Joe Biden borrowing heavily from a British politician's speech. On the other hand, things worked out O.K. for him in the end.